Mark Wahlberg has been fit and muscular all through his life: From his younger days when he was Marky Mark, the rapper and continuing to thrive up till now when he became one of the highest-paid actors in Hollywood. He has played different roles in films including The Fighter, Pain and Gain, Lone Survivor, Shooter, and Mile 22 that required him to be fit and ripped. Therefore, it is no surprise that he spends hours in the gym for training and getting in shape. 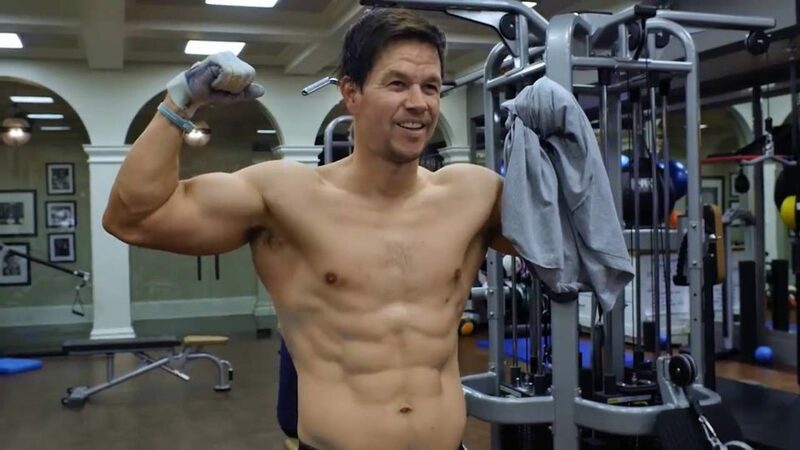 Wahlberg is a high-performance guy who is committed to reaching his fitness goals. 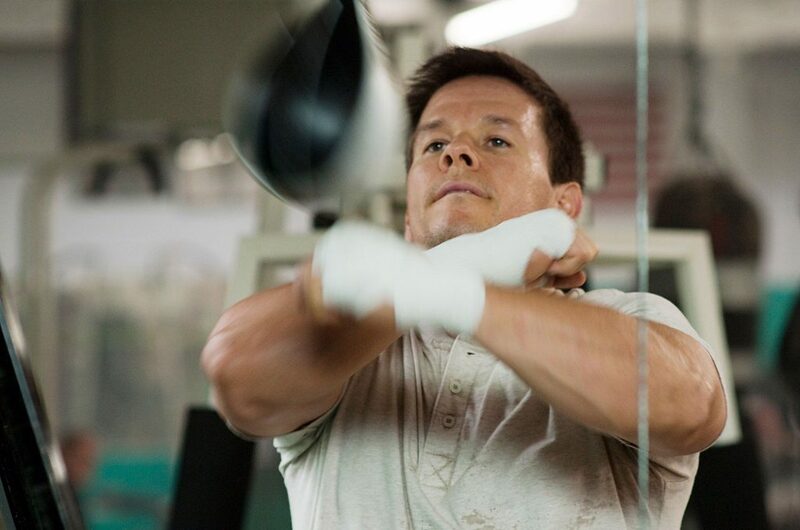 He has been training under Brian Nguyen for over 13 years to get in shape for some of his most demanding roles. Wahlberg wakes up at 2:30 in the morning for a tough workout session that starts before 4’o clock in the gym. The session lasts for one and a half hours during which he focuses on weight training, including overhead presses, vertical presses, and reverse lunges. 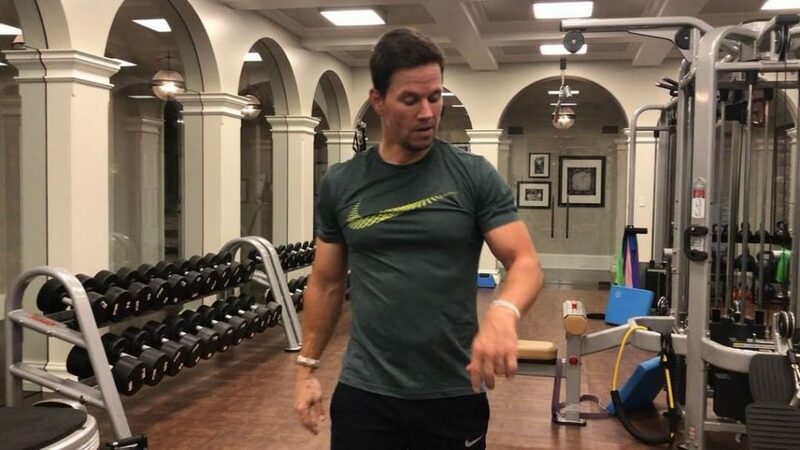 To recover from muscle soreness and inflammation, Wahlberg gets a post-workout cryotherapy session, which he feels reduces pain and improves sleep. Each of the following exercises is performed for 4 sets, each with 8-12 repetitions. He performs the following for 2-3 circuits with 15 repetitions per exercise. The following exercises are performed for 4 sets, each with 8-12 repetitions. The following exercises are performed for 3 sets. The first set is done for 10 reps using 45 lbs, the second is for 8 reps using 55 lbs, and the third is for 6 reps using 65 lbs weight. Each circuit is performed for 4 rounds and 8 reps, resting 90 seconds after a circuit. Each of the following is performed for 2-3 sets, 6-8 repetitions, and resting 60 seconds after each one of them. These exercises are performed for 4 sets, each with 8-12 repetitions. Aside from training hard, Wahlberg attributes most of his success to nutrition and supplements. After waking up at 2:30 in the morning, he eats his breakfast at 3:15 a.m. along with the pre-workout meal. He takes his post-workout meal at 5:30 a.m. after training for one-and-half-an-hour. He also eats smaller meals every 2-3 hours throughout the day. Here we share the diet plan of the 47-year-old Boogie Nights actor.